Rising investment of the private sector, especially of foreign firms, into Vietnam’s infrastructure projects has helped the country make its debut as a top-five country for private participation in infrastructure (PPI) in the first half of this year. According to a World Bank (WB) report released this week, thirty-four countries received PPI investments in the first half of 2018, with the top five countries – China, Turkey, India, Vietnam and Brazil – accounting for 66 percent of the global total, 10 percent higher than in 2017. The top five countries attracted US$28.9 billion of PPI investment capital in H1 2018, of which China lured US$11.6 billion across 37 projects; Turkey with US$7.2 billion across eight projects; India with US$3.8 billion across 24 projects; Vietnam with US$3.4 billion across 10 projects; and Brazil with US$3.0 billion across 11 projects. Regionally, East Asia & Pacific received the highest level of PPI investment in the period, at US$17.3 billion. This marked a 27 percent increase from H1 2017 and was led by China and Vietnam. China by itself accounted for more than a quarter (27 percent) of global investment commitments, which was mostly due to a surge of road projects in the country. Meanwhile, Vietnam accounted for 8 percent of global investment commitments, with a total of US$3.4 billion across 10 projects. All the projects were electricity-generation projects—nine of them used renewable energy sources, and one was a US$1.9 billion coal megaproject. The WB’s report also showed that Vietnam was the leader in attracting new electricity-generation projects in H1 2018, with 10 projects worth a total investment capital of US$3.4 billion in H1 2018. The most dominant form of technology in H1 2018 was solar, accounting for almost one-third of total investments in the sector across 49 projects. Solar-energy projects were recorded in 23 countries. Of the total, India led with six projects, while Brazil, Ukraine and Vietnam tied for second place with five projects each. 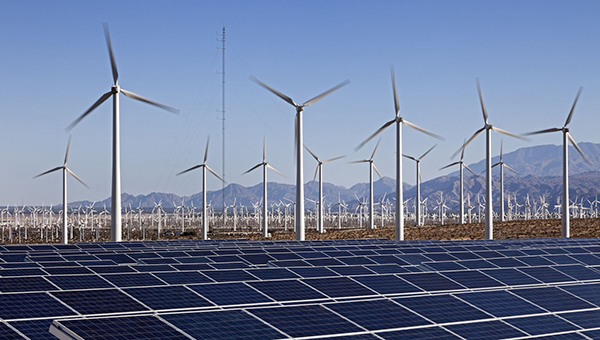 According to WB analysts, Vietnam’s commitment to reducing its reliance on coal-fired power and to dealing with environmental issues has resulted in an increased focus on investment in the renewable-energy sector. Under a government master plan, the total designed capacity of solar power generation must amount to 850MW in 2020 and 4,000MW by 2025. Meanwhile, the total capacity of solar and wind power set for 2030 is 12,000MW and 6,000MW, respectively. To encourage private investment in the sector, the government regulates that the FIT for solar power is set at 9.35 cents per kWh while the rates for onshore and offshore wind power projects are 8.5 US cents and 9.8 US cents per kWh, respectively. With such prices, renewable power projects will be profitable as the power retail price currently averages at only 7.54 US cents. The government also plans to continue encouraging foreign investors to pour cash into the renewable energy as it is among priority industries put under the country’s FDI attraction strategy in the next decade. However, to attract the inflow, Vu Chi Mai, senior project officer of the ‘Support to the Up-Scaling of Wind Power in Vietnam’ project under the GIZ Energy Support Program, said that the government should issue a more holistic and longer-term development plan for the industry. According to Mai, the biggest challenge for the industry is the grid connection issue. Investors, while putting a considerable amount of investment into the project, want to get a clear confirmed grid connection agreement. Besides, clear and transparent policies on wind and renewable energy will maintain investors’ trust and motivation, Mai suggested, adding in the long run, to achieve the government’s goals on renewable energy development, adjustments to the power purchase agreement should be considered to meet the requirements of international financial institutions.